Anthony Taylor officiates his 4th Premier League game of the season when Cardiff entertain Arsenal at CCS. It's around ten years to the week that Taylor first took charge of a Cardiff game. That was a 2 - 2 draw with Norwich at Ninian Park in the last season at the old ground. In the 2013 / 14 Premier League season he referee'd the 0 - 0 draw with Everton at CCS and the 4 - 1 defeat away at Chelsea. 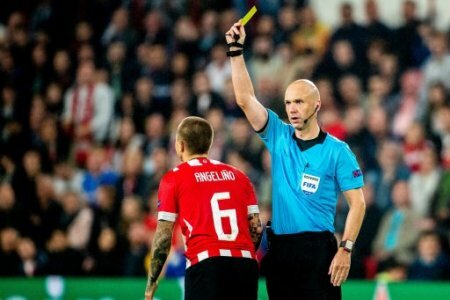 Last season he took charge of 40 games issuing 147 yellow cards and 6 red. He was in charge of the play off final between Villa and Fulham and mostly did Premier League games but was also a Champions League referee and an internatioanl one as World Champions France played a pre World Cup friendly against Italy.